Eclipse fever is seizing the United States. The nation has ringside seats for literally the “Greatest Show on Earth” — the appropriately named “Great American Eclipse” on Aug. 21, 2017. Right now, the news is filled with viewing tips and advice for avoiding traffic jams during what’s slated to become the most-watched cosmic event in human history. Experts say 200 million Americans will to witness the eclipse (at least in part), while billions more will tune in online from around the world. 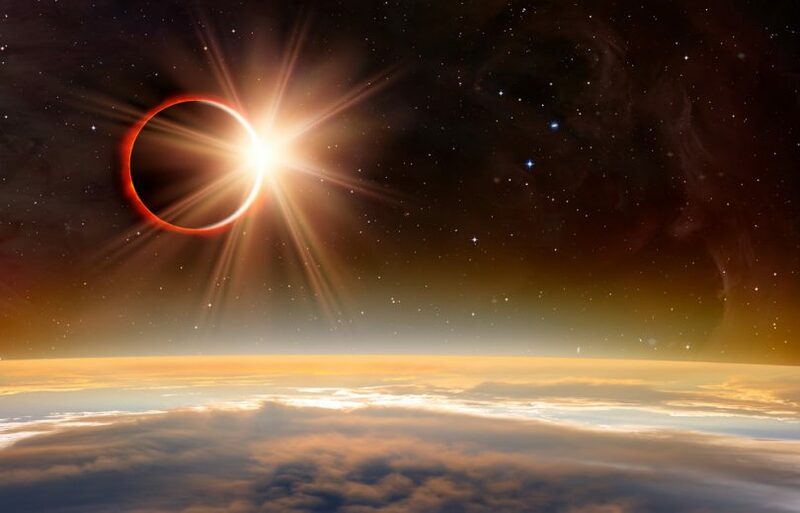 But, as a former journalist turned professional astrologer, I want to share with you a secret: What astrologers see in an eclipse that you don’t. Astrology is a vast and ancient art. 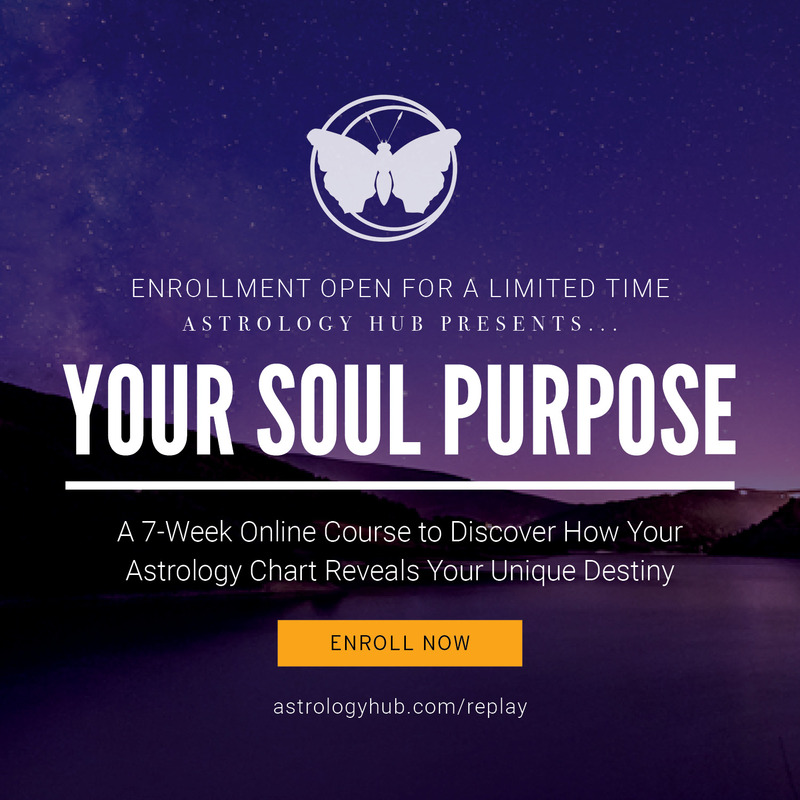 Some form of astrology is practiced by many indigenous cultures around the world as they’ve sought to discover meaningful connections in the appearance of events in the sky with humanity’s more mundane world. Over the millennia, astrologers — those who studied the heavens in order to interpret such cosmic signs — have devised numerous techniques to tease out the details of what a particular eclipse might mean for nations, their rulers and people. Today’s astrologers are no different. They see this Aug. 21 “Great American Eclipse” as the harbinger of a major turning point for the U.S. While astrologers may not be “freaking out” (as Newsweek had it in the original title of their recent article), they are watching closely as events unfold. But how exactly do astrologers interpret events such as eclipses? How does a physical event take on a meta-physical meaning? Put succinctly: in astrology’s astro-logic what happens “above” (in the heavens) is like (qualitatively similar to) what happens “below” (in the realm of kickable objects). So what it “looks like” in the sky becomes a metaphor for how it might play out in the course of human events. Let’s use the Great American Eclipse as an example of how this works. In astrology’s astro-logic what happens “above” (in the heavens) is like (qualitatively similar to) what happens “below” (in the realm of kickable objects). So what it “looks like” in the sky becomes a metaphor for how it might play out in the course of human events. First, the location from which an eclipse is visible indicates the areas of the world ripe for changes in society, cultures or leadership. Of course, the “Great American Eclipse” puts the U.S. in the crosshairs of change. It’s the first total solar eclipse to be visible coast-to-coast across the U.S. in nearly 100 years; the last time was in June 1918. Another pivotal year in U.S. history, 1918 saw a dramatic increase in the size of the U.S. government and armed forces, as the nation sent the first major deployment of troops overseas in the nation’s history. The Aug. 21 eclipse is also the first total solar eclipse to be visible in totality only from the U.S. since the nation was founded in 1776. The “Great American Eclipse” certainly fits its name. No eclipse stands alone. All are part of a larger family of eclipses, called a Saros series. Each Saros series begins at either the north or south pole. Then over the next 1,300 years, it develops from partial to total as it moves toward the equator, then dwindles back to partial as it ends at the opposite pole. The Great American Eclipse is part of Saros series 145. So, to get sense of how August’s eclipse may play out, astrologers look to past events in the series. For example. The first eclipse in Saros 145 occurred in 1639, just weeks before the signing of the first state constitution (for Connecticut). Also, the first eclipse in Saros 145 occurred at 13 degrees of the Zodiac sign Capricorn. It’s important because it’s exactly opposite the point in the Zodiac at which the Sun was located at the birth of the U.S. on July 4, 1776 (13 Cancer). In other words, the first eclipse occurred on the U.S. half-birthday, so to speak. Saros 145 eclipses have a long history appearing before major events in U.S., including the bombing of Hiroshima in 1945 and the assassination of JFK in 1963. Now, anyone reading the news understands that President Trump enjoys being at the center of attention. Well, the “Great American Eclipse” is certainly part of the script to “Make America Great,” and Trump may have been the man destined to make it happen. For starters, the Aug. 21 eclipse occurs conjunct the fixed star Regulus. As the lion’s heart of the constellation Leo, Regulus since ancient times has been associated with kings and kingship. And, if that weren’t enough, the Great American Eclipse falls directly on the point that was rising over the horizon at the moment of President Trump’s birth (assuming the birth certificate released by the campaign is accurate). This “rising degree” is one of the most pivotal points in a horoscope (aka a birth chart), one that changes every four minutes as the Earth turns. So, an eclipse on the “star of kings” — especially when it falls so precisely on the birth chart of the leader of the country over which the eclipse occurs — becomes the astrological equivalent of a Vegas-style flashing neon sign. Oh, and by the way, let’s not forget, President Trump was born on the day of a lunar eclipse. So, as an eclipse baby himself, he’s even more sensitive to their triggering influence. For everything there is a season, and that includes change. If you’ve been paying attention to eclipse news, then you already know that the next total solar eclipse to overshadow the US is in — you guessed it — 2024. If the Sun is the king or leader, the Moon is the public. 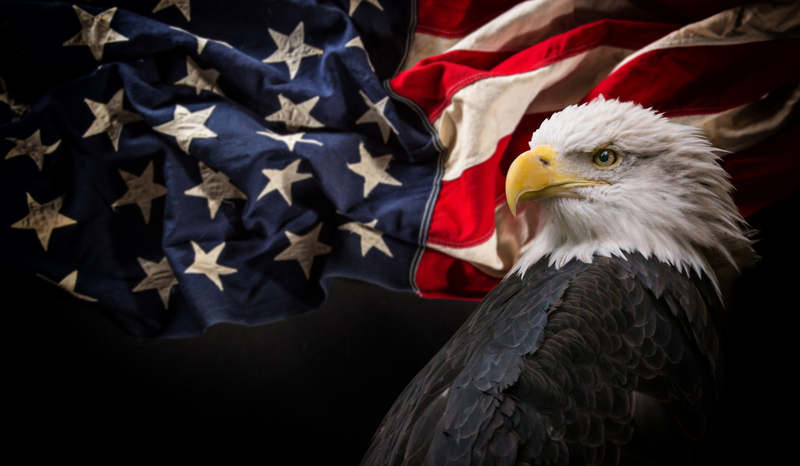 It’s also the foundational values of the nation — our national soul —that we must reclaim from the shadow. But, what does it all MEAN!?! Even for astrology, that’s a lot of cosmic coincidence! Each one of these points in isolation might be seen as “no big deal” or “just coincidence.” But when the coincidences pile up like this, the chances of all of them happening concurrently become, well, astronomically high. This eclipse is the cosmic reflection of what we already know: We are at a crossroads in American history. If you are engaged in the world in any way, you know this is true. Everywhere, we are reaching tipping points. Globally, the climate is shifting. Technology is changing so fast, experts predict 40–60 million Americans may be working jobs that will no longer exist in a decade. Not to mention the profound paralysis of “us versus them” thinking on all levels of government and society. Something has to give. By the ancient rules of astrology, the Great American Eclipse says the change begins NOW. Eclipses are all about working with shadows. A solar eclipse is literally the Moon’s shadow falling on the surface of the Earth. Now it’s our turn as a nation to ask the crucial questions: who are we as a nation, and what do we want to become? Over the next few years, we must develop a process for having this conversation. Because, to echo Ben Franklin’s sentiments, if we don’t learn to hang together, we shall most certainly hang separately. We must break free of the “curse of duality” — the either-or thinking that’s plaguing so much of our discourse at the moment. Rarely is life black and white, either/or. 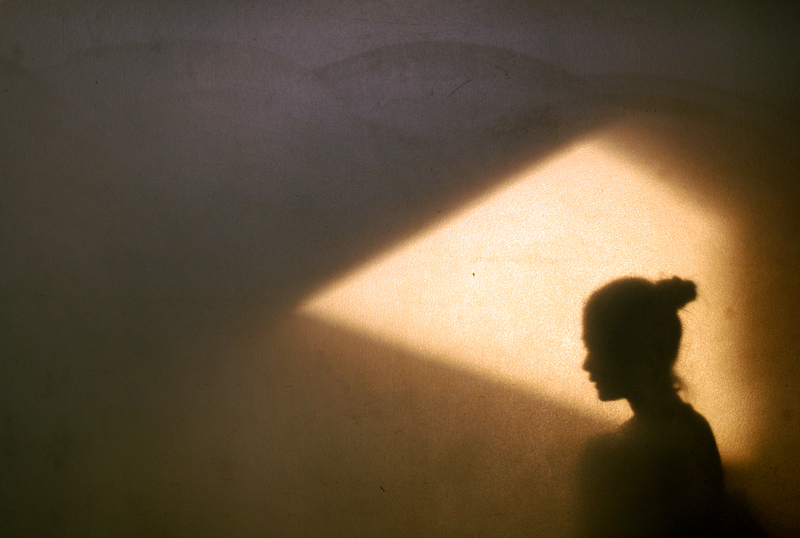 Dualistic thinking is what creates The Shadow in the Jungian sense. We project our monsters onto the other, so we can avoid looking at the darkness within. Eclipses are the cosmic reminders that opposites can be complementary poles which attract one another. The eternal dance of Yin giving way to Yang, to Yang giving way to Yin. There are no winners and losers in the dance. Only endless change. Over next few years, as we struggle over the “soul of America,” you will hear commentators harkening back to our foundational documents. Especially the Declaration of Independence. The “pursuit of happiness” has little to do with the right to buy a sports car or scarf down any other form of instant gratification. The foundational value of our nation is to empower each person to be able to pursue their full human potential. In other words: human flourishing. Which means, every choice that we make as individuals, or as a society must be grounded in the simple question: Will this bring us closer to universal human flourishing, or further away from it? 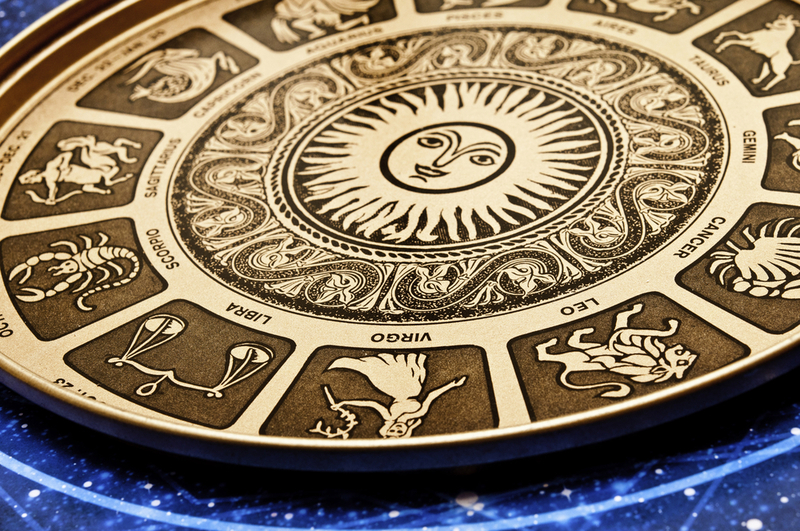 Astrology is an ancient tool designed to help us reflect on and clarify our path toward Eudaimonia. For individuals and for nations. And it’s a spiritual practice designed to help us cultivate virtue and strength of character that can lead us toward fulfilling our own potential. It is the direct, and ancient, forerunner to today’s “Positive Psychology” movement. While modern astrology at large may have forgotten this fact, astrologers have not. 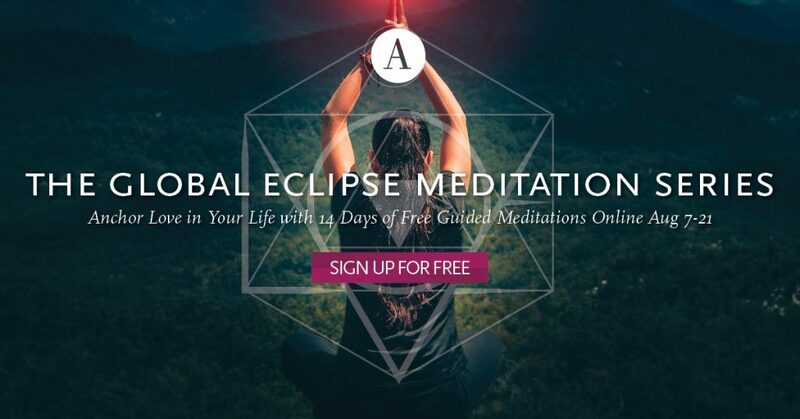 To this end, Astrology Hub is hosting a 14-day free, live, online, global meditation series between the lunar eclipse on Aug. 7 and the solar eclipse on Aug. 21. Each day some of the world’s top spiritual teachers and astrologers will offer a guided meditation on how to anchor love on a personal and collective level. Whether you believe in astrology or not is irrelevant. The world will only change if we envision the future we want to create. This is a GREAT write up – thank you! I interviewed another astrologer who had this exact same framing. She had some interesting things to say about where this eclipse path is crossed by the one in 2024. Thanks for sharing. It is exactly what I needed to hear. It’s so interesting to learn about it.